Last week, we announced our intention to become a publicly listed company in order to accelerate our pace of innovation. I wasn’t kidding when I said we wanted to move fast. Today, we’ve announced the acquisition of Bulletin Intelligence, a company that distills tens of thousands of sources into a daily, customized, intelligence briefing to inform powerful executives, from multinational corporations to The White House and most major federal agencies and departments. 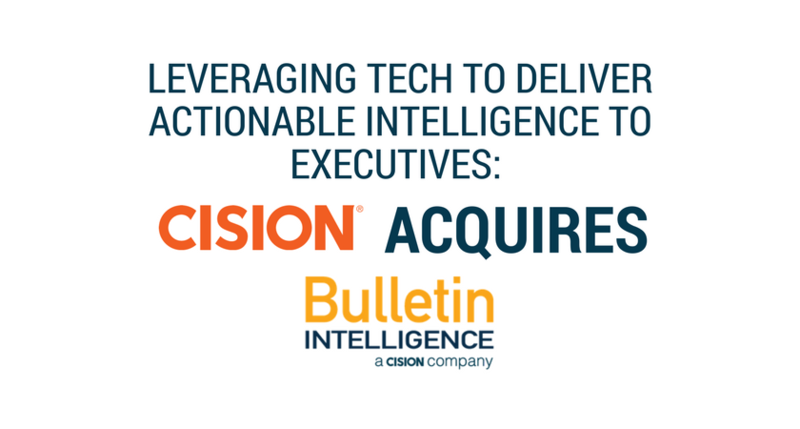 Combined with the power of the Cision Communications Cloud™ technology platform, Cision and Bulletin Intelligence will continue to deliver trusted resources to executives making critical decisions based on data. 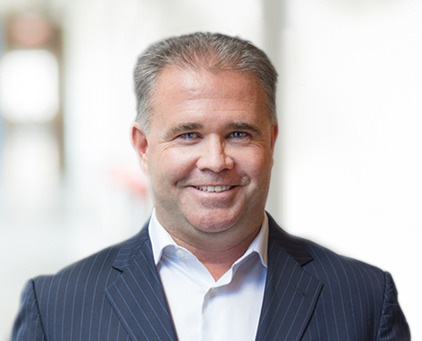 Bulletin Intelligence will align with Cision’s global team of analysts, creating the opportunity to be the world’s largest expert-driven platform for insights and intelligence for business and world leaders. Busy C-level leaders don’t need big data — they need big insights, and they need them quickly. Together, Cision and Bulletin Intelligence will better serve the C-Suite with the curated information they need to make critical decisions. Executives who receive the Bulletin Intelligence briefing each morning can spend less time gathering information and more time making well-informed decisions. What kind of insights exactly can be gleaned from data? Imagine this: insights that provide a full and real-time picture of the industry landscape, so that you can tailor your communications at a moment’s notice. How about staying ahead of coming challenges using predictive analysis to get a glimpse into the future? And after you’ve had your fill of data and insights, you’re given direction on the next steps to take. This is the power of insights. The acquisition will also help brands with their communications strategies. In a fast-moving news cycle where corporate executives are now more trusted than journalists, the C-Suite and their brands have more opportunity than ever to help shape the news of the day and provide thought leadership. Armed with daily, customized intelligence, communications teams can then use the Cision Communications Cloud to target influencers and craft messages that will insert their executives into the conversation. From there, intelligence becomes the gift that keeps on giving. Teams will use the Cloud to measure and attribute the value of their communications, draw insights that inform strategy the next time around, and be ready to go when the next bit of business intelligence calls them to action. That’s the vision – modern, comprehensive technology plus industry expert analysts delivering the right balance of scale and insight needed to support today’s business and world leaders. This acquisition is the next step toward building the world’s most complete earned media cloud platform, enhanced by world-class analyst services. For more information on this announcement, click here. You can also email askcision@cision.com.